Send me your household tips, tricks, and the name of your favorite home product. I will publish your information and give you credit (First name, city, and state). Great for breakrooms, bathrooms, and kitchens. Premoistened towelettes kill 99.9% of germs on hard, nonporous surfaces. Unique grease- and grime-cutting formula. 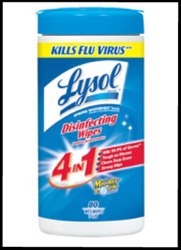 A strong wipe for your challenging messes. 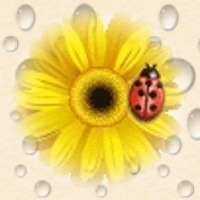 2 scents: Citrus scent and Spring Waterfall® scent. 3 sizes: 35 count, 80 count, and 110 count. Use enough fresh towelettes to thoroughly wet surfaces. To disinfect heavily soiled surfaces, preclean surface with a fresh towelette. Do not use on dishes, glasses or utensils. Quickly fill the whole room with boutique quality fragrance. Set the mood and make everyday special with Glade® Scented Oil Candles. These unique candles quickly melt into a large pool of scented oil wax, releasing boutique quality fragrance. As the whole room fills with a boutique quality fragrance, you can relax and enjoy the shimmering candlelight. Glade® Scented Oil Candles contain a unique warming plate which quickly melts the candle into a pool of scented oil wax to fill the whole room with boutique quality fragrance. Just light it, and the unique warming plate melts the candle into a pool of scented oil wax, quickly releasing boutique quality fragrance into the air, creating a warm and relaxing atmosphere. When the oil evaporates the candle goes out, leaving no mess behind. Each candle is infused with essential oils. 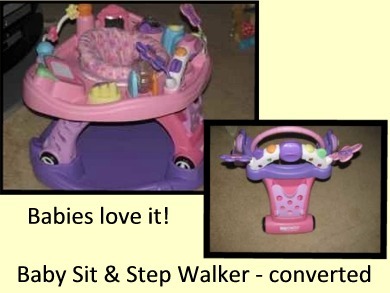 The Baby Sit and Step ® 2-in-1 Activity Center Easily Converts From Stationary Activity Center to Walk-Behind Walker, Activity Center Rocks, Spins and Bounces, Includes 20 Activities to Help Develop Motor Skills, the Electronic Discovery Center™ Includes Lights, Music and Whimsical Sounds, Activity Center Toys Include Ball Drop Slide, Moon Walk, Bead Pop, Fun House Mirror, Roller Coaster Beach Push, Big Top Picture Book and Pipe Organ, Multi-Position Height Adjustment, Open Area and Cup Holder on Tray, Seat and Base Lock for Stationary Play. Age Birth and Up. Requires 3 AAA Batteries. These sturdy steel carts have an extra-large basket (18"W x 16"D x 24"H) so you can easily transport all of your groceries and/or laundry. The 4-wheel design provides extra stability and is easy to maneuver over curbs and stairs. The easy-to-grasp handle has a ribbed rubber grip for a secure hold. 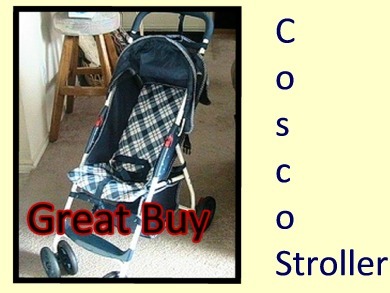 This folding cart is compact for easy storage. 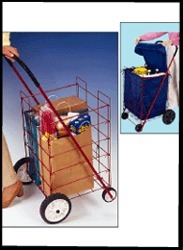 Nylon Cart Liner: Handy water-repellent liner fits easily inside the cart to protect groceries or laundry. How it works: Simply press the blue button after the last shower of the day. Sprayer 1 spins 360º to cover all four walls and tub with cleaning solution while Sprayer 2 targets back corners and edges. What it does: Sprayer 1 provides overall coverage of your shower. Sprayer 2 tackles the grime zone — the corners and places where soap scum and mildew stains collect. Maytag Commercial Technology (MCT) and Superior Vibration Control (SVC) provide commercial-grade components for long-lasting durability. 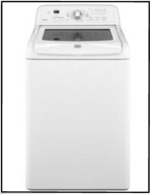 Our most efficient top-load washer is also our largest. Plus, the timed Oxi dispenser and an NSF certified Sanitary cycle boost cleaning performance. Spray a light mist after you shower. No need to rinse, wipe or scrub. Bathroom dirt and soap scum won't get a chance to build up. 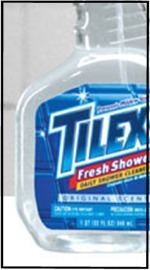 Use it daily, and Tilex® Fresh Shower® will prevent bathroom dirt and soap scum from building up in your shower--all while leaving a fresh, clean fragrance. It is safe on glass, glazed tile, tubs and shower curtains. Just leave it in your shower and use it every day for a sparkling clean shower without any of the work! You'll find Fresh Shower® Daily Shower Cleaner in your local grocery store and at mass merchandisers like Wal-Mart, Target and K-Mart. They come in a variety of forms and scents to complement any room in your home. 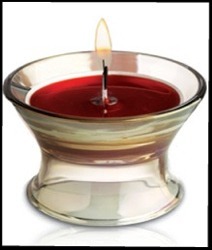 Scented oil warmers provide gentle, lasting fragrance that can make even larger rooms more inviting. Just insert the warmer unit upright into an outlet, adjust the fragrance level from 1 to 5 and enjoy the perfect amount of fragrance. 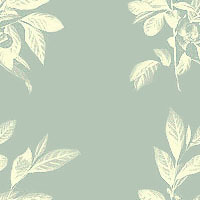 You will love the freshness that fills your room, from the first day to the last. Here's a simple way to clean your indoor grill. You see the Japanese cooks clean the grill at Benihana restaurants this way too. Heat the grill until it is hot (about 5-6 minutes). Take a wet (don't squeeze out the water) old dish towel (rag) and place it on the grill. Be sure to cover all areas and close the lid. Let the grill cook for approximately 6 minutes or until the steam stops. carefully remove the wet rag with tongs. Use the tongs and wipe the surface with the rag. The food that is stuck on the grill will come right off with ease. Try it! It works great! --Grill Cleaning Tip Submitted by Carol in Tulsa OK.
Swiffer® WetJet® is versatile enough to clean almost any floor. It's a hardwood floor cleaner, a laminate floor cleaner, an almost any-floor cleaner! * Its multi-surface, dirt dissolving Antibacterial Solution kills 99.9% of bacteria that a mop can spread around**, and it breaks up and dissolves tough messes in any room of your home. Add a thick textured pad that pulls dirt deep inside and a powerful nozzle, and you’ll notice a complete clean. Plus, you can use your foot or floor to flip the mop head on its side to scrub tough spots or messes, making it one of the most versatile wood floor cleaners and multi-surface cleaners around. You know about the different messes that can make cleaning wood floors and other surfaces in your home tougher than they should be. Many wood floor cleaners often require you to have multiple tools to get the clean you need. Replace your mop with a more versatile hardwood floor cleaner. From trapping and locking dirt and dust to revealing a beautiful shine you can see. --Mardi Austin TX-- I love my Swiffer Wet Jet. But caution should be used around small pets and children. I don't let the baby stay on the tile and wood floors anymore. I don't have pets. best to be safe than very sorry. Recently someone had to have their 5-year old German Shepherd dog put down due to liver failure. The dog was completely healthy until a few weeks ago, so they had a necropsy done to see what the cause was. The liver levels were unbelievable, as if the dog had ingested poison of some kind. The dog is kept inside, and when he's outside, someone's with him, so the idea of him getting into something unknown was hard to believe. My neighbor started going through all the items in the house. When he got to the Swiffer Wetjet, he noticed, in very tiny print, a warning which stated 'may be harmful to small children and animals.' He called the company to ask what the contents of the cleaning agent are and was astounded to find out that antifreeze is one of the ingredients (actually, he was told it's a compound which is one molecule away from antifreeze). Therefore, just by the dog walking on the floor cleaned with the solution, then licking its own paws, it ingested enough of the solution to destroy its liver. Soon after his dog's death, his housekeepers' two cats also died of liver failure. They both used the Swiffer Wetjet for quick cleanups on their floors. Necropsies weren't done on the cats, so they couldn't file a lawsuit, but he asked that we spread the word to as many people as possible so they don't lose their animals. This is equally harmful to babies and small children that play on the floor a lot and put their fingers in their mouths a lot. Your dressed and you suddenly notice that you have static cling! You can use a softener sheet to get rid of static on your clothes. Just rub the softener sheet all over the places where there is static. Once candle wax hardens, there is not much you can do about it, but I do have an easy solution for you. Candle wax is a common problem, but no one really knows just how easy it is to solve. Scrubbing, washing, scratching and scraping won't do it. Well, you'll be happy to know that if you've got a candle wax stain on your carpet, all you need is an iron and a couple of paper towels. It may seem a little strange, but this actually does work. Just give it a try. You'll be amazed by how fast and effective it is. Heat your clothes iron, just as if you were going to iron a shirt. Once it's warmed up, place a few paper towels on top of the candle wax stain. Place a few sheets around the stain, which will prevent scorching other areas. Now this is really simple, just iron the sheets of paper that are on top of the candle wax. The wax will liquefy and be absorbed by the paper towels. As you iron the paper towels, the wax is absorbed into the sheets of paper. This looks like little spots of water or grease on the paper towel. Once you've seen these spots, you know the wax is coming out of your carpet. Q. What is freezer burn and how can something burn in a freezer? A. It’s the fundamental physics of sublimation. Water evaporates at all temperatures even from what appears to be a solid. That’s why ice cubes shrink in your freezer and in fact will eventually disappear. When the constantly oscillating moisture molecules in the meats and vegetables stored in your freezer migrate to the surface crystals of ice are formed. Even if the package has never been opened. Digital – Bake, Broil, Toast, Bagel, Pizza, Dehydrate at the touch of a button Innovative design with Luminart™ finish! 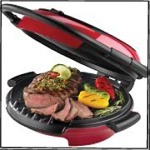 I bought the Oster®Counterforms™ Convection Oven and find this product to exceed my expectations. Great product! Dust Faster with our fluffy all-around duster! Picks up allergens found in dust from dust mites and pet dander The duster cloths fit any Pledge® Duster handle! 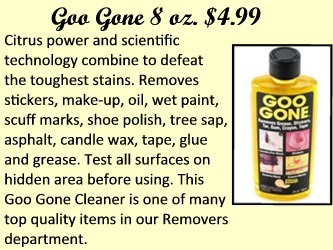 Works great on blinds, electronics, wood, metal and more. The Pledge® Multi Surface Duster works very well. Use glue traps (the kind for mice) in the corners of rooms to catch unwanted insects such as spiders, bugs and flies. The glue traps are small, flat and inexpensive. Change them about twice a year. A company that's thinking green. 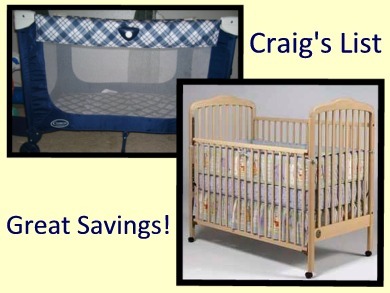 Baby Products: Baby Bath, Baby Shampoo, Baby Lotion, Baby Oil, Baby Talcum etc. Personal Care Products: Perfume Talc, Foam Bath, Moisturizing Body Shampoo, Aloe Vera Gel, Slimming Cream Massage Oil, Massage Gel, Feminine Wash, Hygiene Wash, Perfume etc. Skin Care Products: Facial Cleansing Gel/Foam, Facial Toner, Facial Day Moisturizer, Facial Whitening, Day/Night Cream, Facial Whitening Scrub, Facial Whitening Mask, SPF 15 Day Cream etc. Hair Care Products: Various types of Conditioning Shampoo, Hair Conditioner, Hair Cream, Hair-Care Lotion, Hair Setting Gel, Hair Sculpting Lotion etc. Household & Car Care Products: Dishwashing Liquid, Multipurpose Cleaner, Toilet Cleaner, Floor Cleaner, Laundry Liquid, Liquid Hand Wash, Car Shampoo, Car Wax, Leather Care, Headlamp Polish, Dashboard Shine, Rain Repel Glass Treatment etc. A very good and inexpensive product to clean stains from furniture, carpets, and clothes is your favorite brand of window cleaner. I use Windex. It's true what was said in "My Big Fat Greek Wedding." Windex is good for a lot of things. 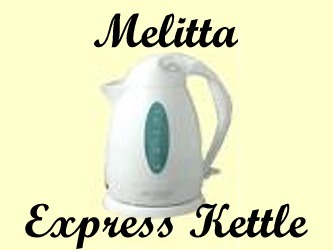 We are an OEM Manufacturer. So our range of products is catered for individual requirement to have their own uniqueness. More importantly, we are using natural ingredients and natural palm base which are generally suitable for all. Currently, our market is both local and export oriented. Our markets covered Malaysia, Vietnam, Middle East, Singapore, China and Australia. Our effort is now being channeled to explore more oversea markets by participating in International Trade Fairs. Nature of Factory: We have been granted the Good Manufacturing Practices (GMP) certificate by MINISTRY OF HEALTH IN MALAYSIA (BPFK) in April 2004 being comply to their standard of requirement. Factory Building: It is a detached factory with a land area of 23,000 sq. ft. and a workforce of less than 100 workers to operate on fully and semi-auto machines; to do labeling, filling and packing jobs. Our Vision: To develop more new products for local and overseas market and to focus on quality excellence and better customer services. Another very good and inexpensive product to clean blood stains from furniture, carpets, and clothes is hydrogen peroxide. Just pour on the stain and watch the stain bubble away. Stop paying for extra products to clean your home. Some of the most simple things work just as well and they don't cost as much.